***10 June 2016: Some of the content in this section will be temporarily unavailable while the Treasury moves to new servers. It should all be back within a day or two. Thanks for your patience! 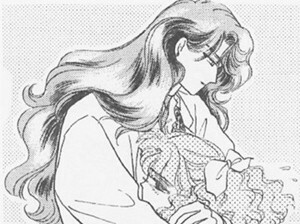 Nephrite and Naru have a reunion. A story from one of the Moon Fight doujinshi. It appears to have the title "Prism Heart" on the last page. Many many thanks to Chepseh (whose art you can see in the Fanart Gallery) for the scans! Remember to view right to left. Rated R for just a touch of mature content. This is the doujinshi that I have scans from elsewhere on the site. Now you can enjoy the whole story, thanks to Sherrie's translations! 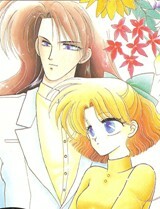 Links to anime music videos featuring Nephrite and Naru. I am unable to host AMVs, but if you make one and post it on YouTube, send me a link! My editorials on some issues about Sailor Moon and the Dark Kingdom. I don't feel quite as strongly about some of these things as I once did, mostly because my site has been around so long and is still alive, so I feel like I've proved my point. Just because I'm entitled to my opinions doesn't mean that everyone else also has to be entitled to my opinions, but there still might be some interesting things in here. Anime banners, animated gifs, and wallpapers. The old NNP one is still available; I'll try to make a new one with the new site name sometime.